Restore the original whiteness of your teeth and rebuild lost enamel with the Regenerate Enamel Science Advanced Toothpaste, an enamel building toothpaste that starts working from the first use. REGENERATE Enamel Science™ is powered by an exclusive and clinically proven NR-5™ technology. The formula acts on early, invisible stages of erosion and helps to regenerate enamel by restoring its mineral content and micro hardness. The unique, non water-based formula contains a high content of ingredients that protect and strengthen the teeth against cavities and give a fresh mint sensation. Use twice daily, in place of your regular toothpaste. 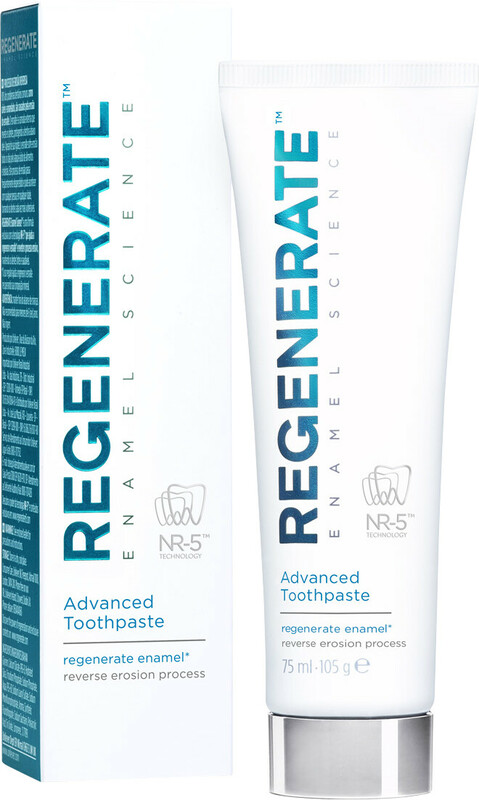 Regenerate Advanced Toothpaste 75ml is rated 5.0 out of 5 by 5.